There are many different types of residential homes in Blackburn with Darwen where a number of people live together, looked after by care staff, 24 hours a day. They are independently run by a variety of private and not-for-profit organisations. All registered residential care homes are regulated by the Care Quality Commission so if you are looking for a home yourself visit their website at www.cqc.org.uk where you will find general information and copies of inspection reports. Who can go into a residential home? Residential homes are for people over the age of 18 who live in Blackburn with Darwen and who are no longer able to remain living independently at home due to physical or learning disabilities, sight or hearing loss, frailty or illness. In certain circumstances, short term places are also available for people recovering from a hospital stay or illness, or to give the person who cares for them a break from their caring responsibilities. What are the different types of care homes? If you need financial support from Blackburn with Darwen Council to enable you to move into a residential home, we will carry out an assessment to work out just how much, and what type of, care you need. If, following the assessment, we agree that a residential home is the best place for you to live, we can then recommend which ones would best meet your needs and also tell you whether they have any vacancies. If you are looking for a residential home in Blackburn with Darwen, we can help you to find one in an area near to your own home or close to family and friends. We will encourage you, or your relatives or carer, to visit the home to see if you would be happy there and to ask any questions you may want answering. Can I choose my own home? Yes if you don't need financial support from Blackburn with Darwen Borough Council, or you just want see what is available, you can use the search facility in the box on the right hand side of this page. Just use the dropdown boxes to select the type of care needed and the area that you are interested in then click 'Next'. To get details of all care homes in the area just click 'Next' without selecting anything in the dropdown boxes. 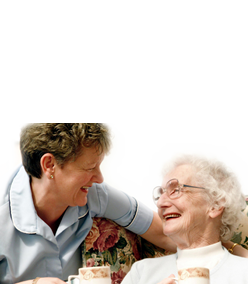 Alternatively, please click here to download the list of care homes in Blackburn with Darwen. Or you can visit the NHS Choices website to find a list of local homes. The website also has links to the homes' CQC reports. Blackburn with Darwen operates a Quality Assurance Scheme (QAS) for care homes. Some care homes have met the standards of the Blackburn with Darwen Quality Assurance Scheme and some have met an Enhanced Quality Assurance Standard. We have included the QAS rating for each home in our care home directory. You can look at the care home directory by using the search box above. All registered residential care homes are regulated by the Care Quality Commission so if you visit their website you will find copies of recent inspection reports. The costs of residential homes vary, often depending on the type of facilities provided and the amount and type of care you need. Blackburn with Darwen has agreed fee rates for care homes for older people in the Blackburn with Darwen area. When the resident is funded by the Adult Social Care department these rates are the maximum rates the Adult Social Care department will pay. You should ask the home of your choice for information about fees before you decide which home you go into, if the home charges more than the Blackburn with Darwen agreed rate a third party will have to agree to fund the difference. You should ask your care manager for advice if the home of your choice charges more than the Blackburn with Darwen agreed rate. Can I get help with the cost? It is possible. If you want us to arrange a place in a residential home for you, and need financial support from us to help pay for it, then we will help you fill out a financial assessment form to see if you qualify for financial help. There is a useful section on Age UK's website about care homes, click the link below to find out more. The Adult Social Care Team is the first point of contact for all referrals and general enquiries. You can contact them from 8.45am to 5pm, Monday to Friday on (01254) 587547. When you contact us we'll discuss your situation over the phone. Depending on your personal situation, we may follow this up with a visit to your home to talk about your needs, discuss what help is available and what type of home would best meet your needs.